The brief for this book contains those lovely words, tranquil, healing, growth. 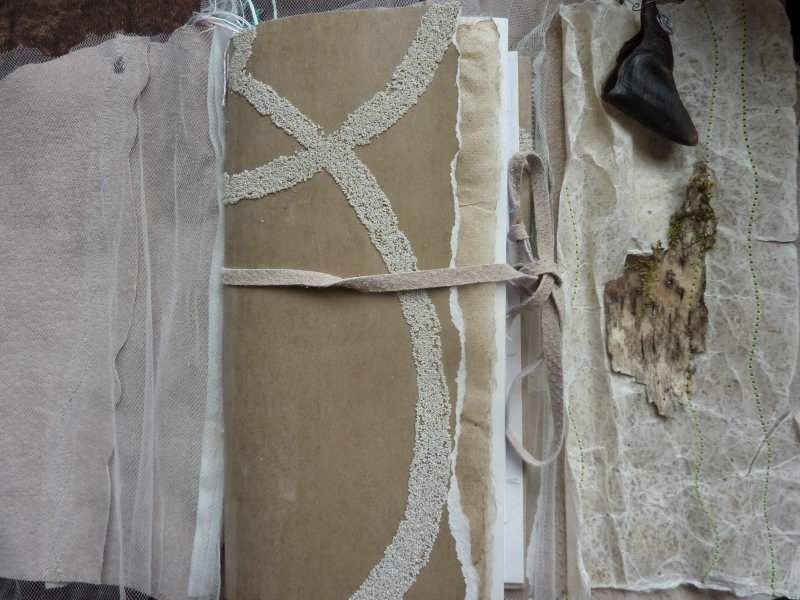 I've used a neutral suede wrap and stitched gentle colours throughout. 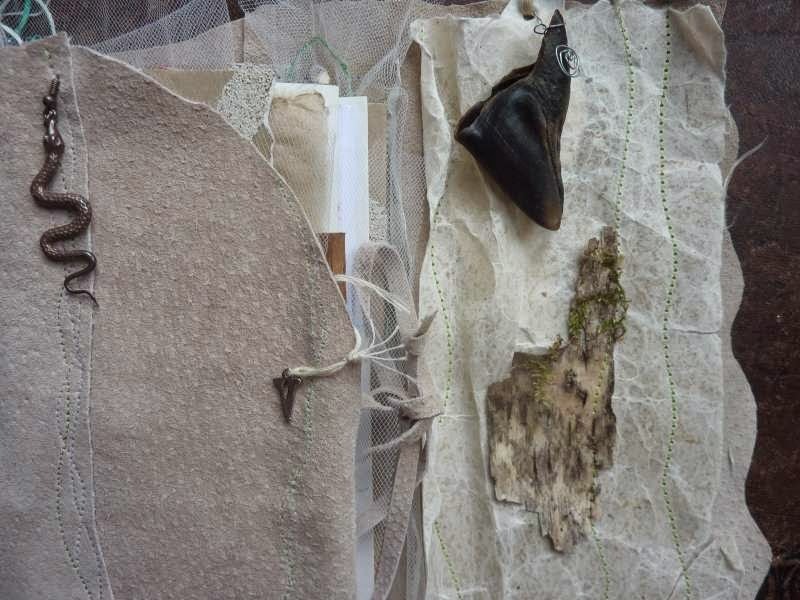 The objects given I've used in stitching to bring them into the whole of the book. Do these strange wild objects tell a story when combined? Do they tell us truths when apart? Do they connect together only by an unrevealed narrative that peaceful contemplation can find? 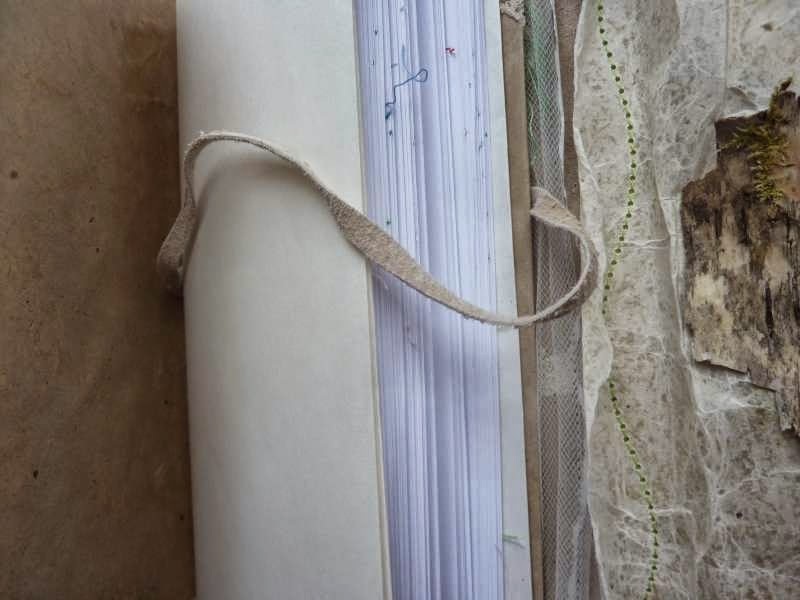 The Knicker Drawer books all invite you to consider the narration of object; the bringing together of disparate items for story-making, tradition-telling, truth-finding. A book of delicacy, fragility, vulnerability. The way we deal with those traits in other people shows us who we are.